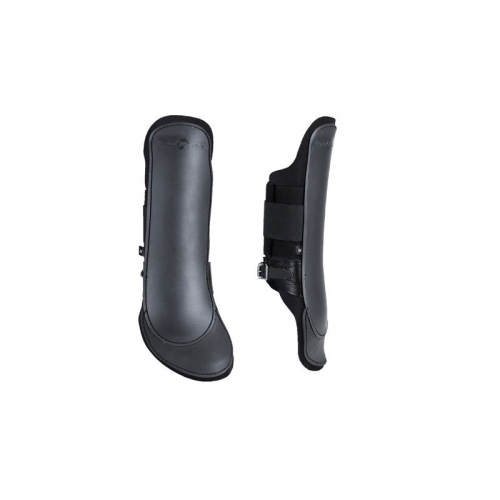 Fetlock boots by Finn Tack with inner protruding band to protect the pastern. Has a buckle and three Velcro straps attachment. Made of a durable mixed plastic material, and has a neoprene lining. Available in three different sizes, which allows the length of the boot to vary.